artSMart: SUITS BACK ON M-NET! Fans of the acclaimed legal drama Suits will be happy to know that legendary hotshot lawyer Harvey Specter and his brilliant partner in crime, Mike Ross, are back for the remaining six episodes of season 7 which runs on Thursdays (from March 29, 2018) at 21h00 on M-Net 101. Last year, the series took its annual production break in September (2017) with episode 10, with quite a tense midseason finale: After their power move was countered, Mike and Harvey found their backs against the wall when they realised that Andrew Malik was a step ahead of them. In true Suits style, however, the Batman and Robin of the legal world won their case with a last-minute comeback. Matters of the heart also loomed large in this episode, forcing Donna to confront her feelings for Harvey and ending the episode with a fateful kiss between the pair. The drama reached its 100th episode milestone on August 30, 2017, with an episode directed by series star Patrick J Adams. Media reports confirmed that after being regulars on the show, season 7 will be the last appearance for Meghan Markle (who plays Rachel Zane) and Patrick J Adams (who plays Mike Ross). Fans of the show will look forward to gauging Harvey’s reaction to that kiss. Will this finally be the beginning of #Darvey? Also, with the ghosts of Mike’s past haunting them still, will he and Rachel find their happily ever after? And let’s not forget Louis’ many personal and professional troubles which have yet to improve. All will be revealed over the next six weeks. 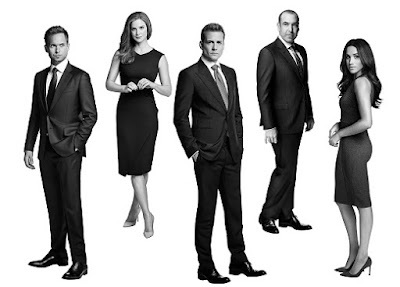 The popular legal drama stars Gabriel Macht as Harvey Specter, Patrick J. Adams as Mike Ross, Rick Hoffman as Louis Litt, Meghan Markle as Rachel Zane and Sarah Rafferty as Donna Paulsen. The series is created and executive produced by Aaron Korsh (The Deep End). Doug Liman (Covert Affairs, The Bourne Trilogy), David Bartis (Covert Affairs, The O.C.) and Gene Klein (Covert Affairs) serve as executive producers. Daniel Arkin (90210) and Rick Muirragui (Men of a Certain Age, The Good Guys) and Silver Tree (The Real O'Neals, Girlfriends’ Guide to Divorce) also serve as executive producers.